Complete and perfect realization of pleasure and happiness almost perfect. Self-praise, vanity, conceit, much talking of self, yet kind and lovable, and may be self-denying therewith. High-minded, not easily satisfied with small and limited ideas. Apt to be maligned through too much self-assumption. A good, generous, but maybe foolish nature. Yesod of Heh. (Complete success, pleasure, happiness, wish fulfilled.) Therein rule Saliah and Aariel. The Nine of Cups is Yesod in the scale of Briah. It is the Moon, a Stable Foundation in the Creative World of Pure Intellect. In this card the equilibrium which was lost in the last two cards in restored once again by the return to the Middle Pillar of Balance. It is ruled by Jupiter in Pisces, which is beneficial. Here the Mercy of Jupiter is conducted through the calm waters of Pisces into the watery realm of the Moon. This reflects pleasure, happiness and good fortune into our world, Malkuth. Success, Happiness, Health, Opportunity, Expansion, Fulfillment, Well-being Devoured by the fulfillment of her wishes, she slumps before the fruits of her attainment. The desired traps of material comfort sensual pleasure, abundance, well-being and happiness all now depend upon the black tide of her continued success. Opportunity is assured, but satisfaction lies elsewhere. Beauty, happiness, pleasure, success, also luxury and sometimes dissipation, but only if with very evil cards. 10. THE WHEEL OF FORTUNE. Good fortune and happiness (within bounds), but sometimes also a species of intoxication with success, if the cards near it bear this out. Karma. A radiant white angelic hand issuing from clouds and supporting on the palm thereof a cup, resembling that of the stolistes. From it rises a fountain of clear and glistening water and spray falling on all sides into clear calm water below, in which grow lotus and water lilies. The great letter Heh of the Supernal Mother is traced in the spray of the fountain. It symbolizes Fertility, Productiveness, Beauty, Pleasure, Happiness, etc. As all of the card images suggest, the happiness is inspired from above. On the other hand, it should be remembered that the Tarot, when used for divination, is best applied to mundane matters, and the meaning of this aspect may be considered different if applied to a more spiritual plane. In ordinary divination, the meaning is matters definitely arranged and settled as wished, permanent and lasting success. At the moment that the neophyte pronounces his two fatal mantra, his body instantaneously dies and he is submitted to great ordeals in the internal worlds. He has to confront the fear of death, he must endure the hurricane of karma, he has to triumph over that which the Father - Mother place before him. The goal is to be able to enter, or better said, to be reborn in superhuman form in one of the kingdoms of the Devas, be it in that of great concentration, or of the long hairs, or of Maitreya, or of Supreme Happiness, etc. In that region he will remain so as to prepare himself for Liberation. The Protocosmos, or first cosmos is infinitely divine, ineffable. In it there does not exist any mechanical principle, it is governed by the One Law. If we reflect profoundly about the Solar Absolute, we will see that there exists beyond, the most complete freedom, absolute happiness, because everything is governed by the One Law. Obviously in the central Spiritual Sun governed by the One Law, there exists the unchangeable happiness of the Eternal Living God. Unfortunately, as we distance ourselves more and more from the Sacred Absolute Sun, we enter more and more complicated worlds where automatism, mechanicity and pain enters into things. The Ten of Pentacles is Malkuth in the scale of Assiah. It is the Kingdom, our planet Earth in the Active World of Matter. The number ten in the earthy world of the Princess scale is in complete harmony, thus the card represents total manifestation. Physical form is now achieved. The Tree of Life has attained completion. Here, Mercury is in Virgo, the sign it rules. Its position here guarantees great material gain and prosperity. However no spiritual growth is assured. Riches are certain to be gained, but happiness is not. Permanent and lasting success, happiness because inspired from above. Not sensual as the Nine of Cups, 'The Lord of Material Happiness,' yet almost more truly happy. Pleasure, dissipation, debauchery. Pity, quietness, peace-making. Kindness, generosity, wantonness, waste, etc. according to dignity. Sephirotic attributes take precedence over all other symbolism. Here instead of disrupting the energy, Mars quickens the calm waters of Pisces in Briah, causing great happiness and fulfillment in the physical world. The Ten of Cups represents the completion of the success that began in the preceding card. Experience the day ahead, help me to raise my facc to Thee. Let Thy light shine upon me, fill my soul with new hope and erase the misery of self pity. I reach out my hand, dear Father, and feel thy blessing now filling me with the heavenly light of new hope and happiness. With this holy light bright within me I can now face the shadows of my own actions. I give Thee my fears of yesterday as I look up at the eternal light of love and truth. Amen. mercy. I need Thee by my side to face any justice bestowed upon me. When others judge me, open my eyes and let me understand the reasons why. Help me not to be quick to judge the acts of others. May 1 represent kindness and mercy when others condemn. When this night falls, may the love and understanding 1 show today give another soul comfort and happiness. As I start this new day, may this prayer rest in my heart and find its way to thee. Amen. 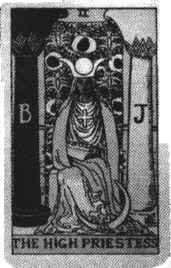 The Angel Metraton or Enoch left us the Tarot, in which is contained all Divine Wisdom. This was written in stone. He also left to us the twenty-two letters of the Hebrew Alphabet. This great Master lives in the superior worlds, in a world of unimaginable happiness the world of Aziluth, or in terms of the Kabalah, the region of Kether, a very elevated Sephiroth. All kabalists base themselves in the Tarot. It is necessary to study and know it profoundly. The universe is formed with the Law of Number, Measure and Weight. Mathematics forms the universe. Numbers become living entities. If we picture duality dramatically as male and female, or black and white, we also experience more subtle splits in our ordinary lives, especially between our hopes, what we imagine as possible, and the reality of what we achieve. Very often the actions we take turn out not to fulfil our hopes for them. The marriage gives less than the total happiness expected, the job or career brings more frustration than fulfilment. Many artists have said that the paintings on the canvases are never the paintings they envisioned they never can express what they really wanted to say. Somehow the reality of life is always less than the potential. Acutely aware of this, many people agonize over every decision, no matter how small or great, because they cannot accept that once they take an action in one direction they have lost the chance to go in all the other directions previously open to them. They cannot accept the limitations of acting in the real world. You must know how to understand, you must know to learn how to suffer, to be resigned those who do not, fail. It is a kind of insolence, a paradox, to want to find happiness in the Ninth Sphere. It would be absurd, because the fact is that Intimate Self-Realisation costs, has a price, perhaps life itself. It is said that the Absolute is darkness, from the darkness comes the light. The Uncreated Light of the Absolute comes from the profound darkness of the Great Night from that darkness which does not have light springs forth the Uncreated Light. If we were to place ourselves there we would see nothing more than an abyss and profound darkness. For the inhabitants of the Absolute (the Paramarthasattyas) however, that darkness is Uncreated Light, made neither by man nor by God, where reigns inexhaustible happiness, inconceivable joy. The underlying characteristic of all of the sixes is success which results from effort. In Atziluth, world of energy, this means victory. In Briah, world of pleasure, happiness is brought about after work to that end. In Yetzirah, world of quarreling and strife, success is earned by the strife itself. And in Assiah, world of business and commerce among men, this means material success. NINE OF CUPS, Lord of Material Happiness (Jupiter in Pisces). Angels of the Decan Saliah (n NO) and Aariel (i KO)> ). This is Yesod in Briah, the influence of Yesod in the Mental World. Here the benevolence of Jupiter, functioning through the water of Pisces, effects happiness and satisfaction in Malkuth. This is a card of pleasure and sensuality which should be compared with the TEN OF CUPS, the success of which is more lasting. (Almost a worse symbol than Nine of Swords.) Undisciplined warring force, complete disruption and failure. Ruin of all plans and projects. Disdain, insolence and impertinence, yet mirth and jolly therewith. A marplot, loving to overthrow the happiness of others, a repeater of things, given to much unprofitable speech, and of many words, yet clever, acute, and eloquent, etc., depending on dignity. 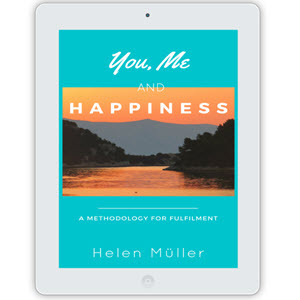 The Lasting Happiness And Success Formula is not for free and currently there is no free download offered by the author.